ROANOKE, W.Va. – Local craft cider, created from West Virginia-grown heritage and heirloom apples, will be the focus of a first-of-its-kind, four-course culinary event featuring flavors from the early fall harvest. The event will be held at 7:30 p.m., Friday, Sept. 23, 2016, at Stonewall Resort, in partnership with Lewisburg’s Hawk Knob Craft Cider & Mead. The founders of Hawk Knob Craft Cider & Mead will discuss the cider-making process, as well as the history of cider and mead. Stonewall is offering the West Virginia Craft Cider Dinner Package, which includes the four-course dinner pairing, live music, overnight accommodations for Sept. 23 and a souvenir glass for each person for $199 per couple, plus taxes and fees. Participants must be 21 or older to participate in the cider tasting. For more information or to make a reservation, contact the resort at 304-269-7400, or visit online www.StonewallResort.com. The Four Diamond-rated Stonewall Resort is a 201-guestroom property with a lakeside lodge and lakeside cottages, a conference center, restaurants, complete fitness center and swimming pool, spa and an 18-hole Arnold Palmer Signature Golf Course. 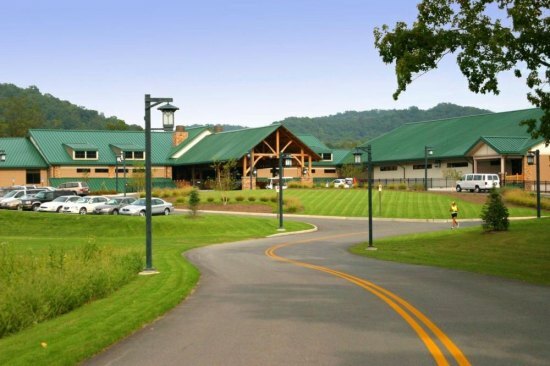 The resort is located at Stonewall Resort State Park near Weston, West Virginia. On each fall Saturday, guests at Stonewall Resort are invited to follow the carved pathway in Bright Start Park for food, music, photography, face painting, games, crafts, educational nature presentations and more. Explore the state park and lake with the resort’s guided kayak, hiking and fishing tours.